Getting your kids to take care of themselves can be a difficult task. Whether it is getting them to eat their vegetables, drink enough water, go to sleep at their bedtime, take a bath, or brush their teeth, you have to approach them the right way in order to instill those healthy habits into them. The best and most promising way to get your child to practice healthy habits is to start promoting those healthy habits as early as you can. A lot of parents don’t realize the power of communication with their kids. From a young age, explain to your child the importance of taking good care of their teeth. Make sure to not skip out on a brush before bedtime, as well as in the morning or afternoon. Tell your child about the importance of having strong teeth and how certain habits will help them achieve that. Kids learn a lot by example. When they are young, they look up to their parents to learn how they want to be. They will mimic many of the things you do, and if you make sure to also take care of yourself in front of them, they will notice and pick up on it and be more likely themselves to engage in healthy habits. 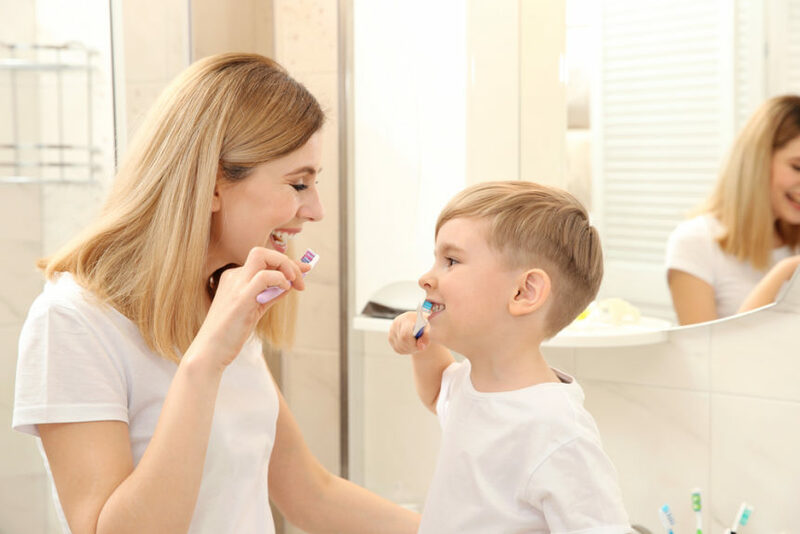 You can even make oral health something you do together, each night before your child goes to sleep you both brush your teeth together. Doing it together always makes it a bit more special. Try to not make brushing teeth seem like a chore. There are actually a lot of ways to make it fun. First, let your child pick out their favorite toothbrush and toothpaste at the store. They have a lot of fun and creatively designed toothbrushes these days for kids, whether it is their favorite cartoon character or color, they will love picking out their own toothbrush. A really great way to ensure your kids are brushing their teeth for long enough is to pick out one of their favorite two-minute songs. This will ensure that they brush for long enough and have fun while doing it. It is recommended that you take your child to a pediatric dentist in Las Colinas by the age of 1 or within six months of their first tooth eruption. Don’t ever skip out on your child’s annual (every six months) dental checkup either. Make sure it is a priority to you and your child that you go for checkups. This will prevent further dental issues in the future as well as help instill another healthy oral habit in them. Here at Cosmetic and Family Dentistry, we understand that going the dentist can be scary for a child. We care about you and your child’s dental experience and will always do everything in our ability to make it a good one. If you have any questions or would like to schedule an appointment with one of our smile experts, please don’t hesitate to contact us today.